Rightways: Has Penang Island’s growth & development become a hazard to life? Has Penang Island’s growth & development become a hazard to life? Malaysia’s Penang Island has undergone massive development since the 1960s, a process that continues today with plans for transit and land-reclamation megaprojects. The island is increasingly facing floods and landslides, problems environmentalists link to paving land and building on steep slopes. This is the second in a six-part series of articles on infrastructure projects in Peninsular Malaysia. GEORGE TOWN, Malaysia — Muddy carpets and soaked furniture lay in moldering piles on the streets of this state capital. It was Sunday morning, Oct. 29, 2017. Eight days earlier, torrents of water had poured off the steep slopes of the island’s central mountain range. Flash floods ripped through neighborhoods. A landslide killed 11 workers at a construction site for a high-rise apartment tower, burying them in mud. It was Penang Island’s second catastrophic deluge in five weeks. Kam Suan Pheng, an island resident and one of Malaysia’s most prominent soil scientists, stepped to the microphone in front of 200 people hastily gathered for an urgent forum on public safety. Calmly, as she’s done several times before, Kam explained that the contest between Mother Earth’s increasingly fierce meteorological outbursts and the islanders’ affection for building on steep slopes and replacing water-absorbing forest and farmland with roads and buildings would inevitably lead to more tragedies. Five days later it got worse. Much worse. On Nov. 4, and for the next two days, Penang was inundated by the heaviest rainfall ever recorded on the island. Water flooded streets 3.6 meters (12 feet) deep. Seven people died. The long-running civic discussion that weighed new construction against the risks of increasingly fierce ecological impediments grew more urgent. George Town last year joined an increasing number of the world’s great coastal cities — Houston, New Orleans, New York, Cape Town, Chennai, Jakarta, Melbourne, São Paulo — where the consequences are especially vivid. The empty apartment construction site where 11 men died in an October 2017 landslide. Image by Keith Schneider for Mongabay. But Chow also favors more growth. He is the lead proponent for building one of the largest and most expensive transportation projects ever undertaken by a Malaysian city: a $11.4 billion scheme that includes an underwater tunnel linking to peninsular Malaysia, three highways, a light rail line, a monorail, and a 4.8-kilometer (3-mile) gondola from the island to the rest of Penang state on the Malay peninsula. The state plans to finance construction with proceeds from the sale of 1,800 hectares (4,500 acres) of new land reclaimed from the sea along the island’s southern shore. 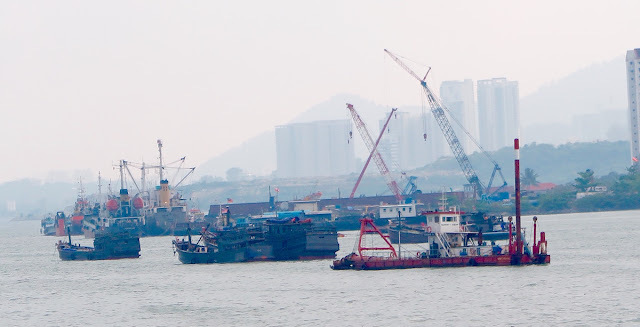 The Southern Reclamation Project calls for building three artificial islands for manufacturing, retail, offices, and housing for 300,000 residents. The state, and Penang Island, however, have been governed since 2008 by leaders of the Pakatan Harapan coalition, which supported the transport and reclamation mega projects. In May 2018, Pakatan Harapan routed the BN in parliamentary elections. Former prime minister Mahathir Mohamed, the leader of Pakatan Harapan, assumed power once again. Island leaders anticipate that their mega transport and reclamation projects will be approved. It is plain, though, that last year’s floods opened a new era of civic reflection and reckoning with growth. 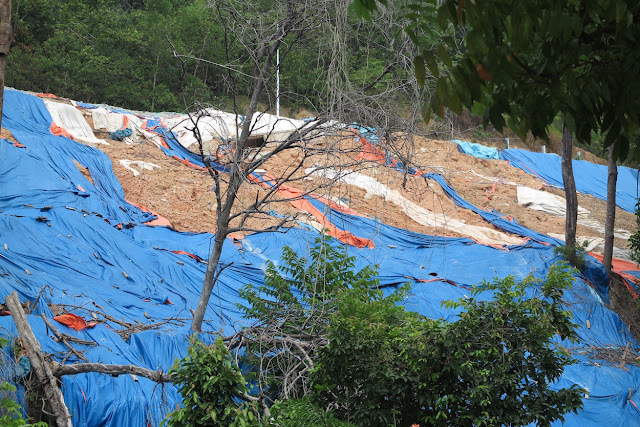 Proof is everywhere, like the proliferation of huge blue tarps draped across flood-scarred hillsides outside of George Town’s central business district. Intended to block heavy rain from pushing more mud into apartment districts close by, the blue tarps are a distinct signal of ecological distress. Or the flood-damaged construction sites in Tanjung Bungah, a fast-growing George Town suburb. A lone guard keeps visitors from peering through the gates of the empty apartment construction site where 11 men died in the October 2017 landslide. About a mile away, a row of empty, cracked, expensive and never-occupied hillside townhouses are pitched beside a road buckled like an accordion. The retaining wall supporting the road and development collapsed in the November 2017 flood, causing expensive property damage. A row of empty, cracked, expensive and never-occupied hillside townhouses are pitched beside a road buckled like an accordion. The retaining wall supporting the road and development collapsed in a November 2017 flood, causing extensive property damage. Image by Keith Schneider for Mongabay. “It exceeds the carrying capacity of the island. It should never be approved,” he said in an interview in his Kuala Lumpur office. Singh, who is in his 70s and still active, was raised on Penang Island. He is an eyewitness to the construction that made much of his boyhood geography unrecognizable. “Everything built there now is unsustainable,” he said. It’s taken decades to reach that point. Before 1969, when state authorities turned to Robert Nathan and Associates, a U.S. consultancy, to draw up a master plan for economic development, Penang Island was a 293-square-kilometer (113-square-mile) haven of steep mountain forests, ample rice paddies, and fishing villages reachable only by boat. For most residents, though, Penang Island was no tropical paradise. Nearly one out of five working adults was jobless, and poverty was endemic in George Town, its colonial capital, according to national records. Nathan proposed a path to prosperity: recruiting electronics manufacturers to settle on the island and export their products globally. His plan emphasized the island’s location on the Strait of Malacca, a trading route popular since the 16th century that tied George Town to Singapore and put other big Asian ports in close proximity. Sea and harbor traffic on the Strait of Malacca. Image by Keith Schneider for Mongabay. As a 20th century strategy focused on stimulating the economy, Nathan’s plan yielded real dividends. The island’s population nearly doubled to 755,000, according to national estimates. Joblessness hovers in the 2 percent range. 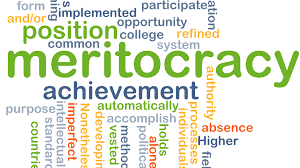 Foreign investors poured billions of dollars into manufacturing, retail and residential development, and all the supporting port, energy, road, and water supply and wastewater treatment infrastructure. In 1960, the island’s urbanized area totaled 29.5 square kilometers (11.4 square miles), almost all of it in and immediately surrounding George Town. In 2015, the urban area had spread across 112 square kilometers (43 square miles) and replaced the mangroves, rubber plantations, rice paddies and fishing villages along the island’s northern and eastern coasts. There are now 220,000 homes on the island, with more than 10,000 new units added annually, according to National Property Information Center. George Town’s colonial center, which dates to its founding in 1786, was designated a UNESCO World Heritage site in 2008, like Venice and Angkor Wat. The distinction helped George Town evolve into a seaside tourist mecca. The state of Penang, which includes 751 square kilometers (290 square miles) on the Malay peninsula, attracts over 6 million visitors annually, roughly half from outside Malaysia. Most of the visitors head to the island, according to Tourism Malaysia. Nathan’s plan, though, did not anticipate the powerful ecological and social responses that runaway shoreline and hillside development would wreak in the 21st century. Traffic congestion in George Town is the worst of any Malaysian city. Air pollution is increasing. Flooding is endemic. Blue tarps drape the steep and muddy hillsides in George Town to slow erosion during heavy rain storms. Image by Keith Schneider for Mongabay. Nor in the years since have Penang’s civic authorities adequately heeded mounting evidence of impending catastrophes, despite a series of government-sponsored reports calling for economic and environmental sustainability. Things came to a head late last year. Flooding caused thousands of people to be evacuated from their homes. Water tore at hillsides, opening the forest to big muddy wounds the color of dried blood. Never had Penang Island sustained such damage from storms that have become more frequent, according to meteorological records. Rain in November that measured over 400 millimeters (13 inches) in a day. The damage and deaths added fresh urgency and new recruits to Penang Island’s longest-running civic argument: Had the island’s growth become a hazard to life? George Town is far from alone in considering the answer. The 20th century-inspired patterns of rambunctious residential, industrial and infrastructure development have run headlong into the ferocious meteorological conditions of the 21st century. Coastal cities, where 60 percent of the world’s people live, are being challenged like never before by battering storms and deadly droughts. For instance, during a two-year period that ended in 2016, Chennai, India, along the Bay of Bengal, was brutalized by a typhoon and floods that killed over 400 people, and by a drought that prompted deadly protests over water scarcity. Houston drowned in a storm. Cape Town is in the midst of a two-year drought emergency. George Town last year joined the expanding list of cities forced by Nature to a profound reckoning. Between 2013 and mid-October 2017, according to state records, Penang recorded 119 flash floods. The annual incidence is increasing: 22 in 2013; 30 in 2016. Residents talk about a change in weather patterns for an island that once was distinguished by a mild and gentle climate but is now experiencing much more powerful storms with cyclone-force winds and deadly rain. Billions of dollars in new investment are at stake. Apartment towers in the path of mudslides and flash flooding rise on the north shore near George Town. Fresh timber clearing continues apace on the steep slopes of the island’s central mountain range, despite regulations that prohibit such activity. Demographers project that the island’s population could reach nearly 1 million by mid-century. That is, if the monstrous storms don’t drive people and businesses away — a trend that has put Chennai’s new high-tech corridor at risk. The urgency of the debate has pushed new advocates to join Kam Suan Pheng at the forefront of Penang Island’s environmental activism. One of them is Andrew Ng Yew Han, a 34-year-old teacher and documentary filmmaker whose “The Hills and the Sea” describes how big seabed reclamation projects on the island’s north end have significantly diminished fish stocks and hurt fishing villages. High-rise towers are swiftly pushing a centuries-old way of life out of existence. The same could happen to the more than 2,000 licensed fishermen and women contending with the much bigger reclamation proposals on the south coast. Andrew Ng Yew Han, a 34-year-old teacher and documentary film maker whose “The Hills and the Sea” describes how big seabed reclamation projects on the island’s north end have significantly diminished fish stocks and hurt fishing villages. Image by Keith Schneider for Mongabay. Another young advocate for sustainable growth is Rexy Prakash Chacko, a 26-year-old engineer documenting illegal forest clearing. Chacko is an active participant in the Penang Forum, the citizens’ group that held the big meeting on flooding last October. 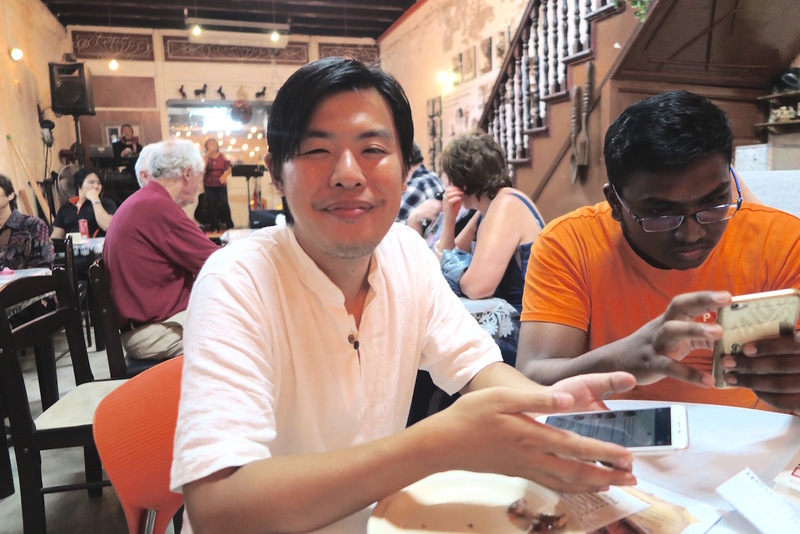 Nearly two years ago, he helped launch Penang Hills Watch, an online site that uses satellite imagery and photographs from residents to identify and map big cuts in the Penang hills — cuts that are illegal according to seldom-enforced state and federal laws. Kam Suan Pheng and other scientists link the hill clearing to the proliferation of flash flooding and extensive landslides that occur on the island now, even with moderate rainfall. In 1960, Malaysia anticipated a future problem with erosion when it passed the Land Conservation Act that designated much of Penang Island’s mountain forests off-limits to development. 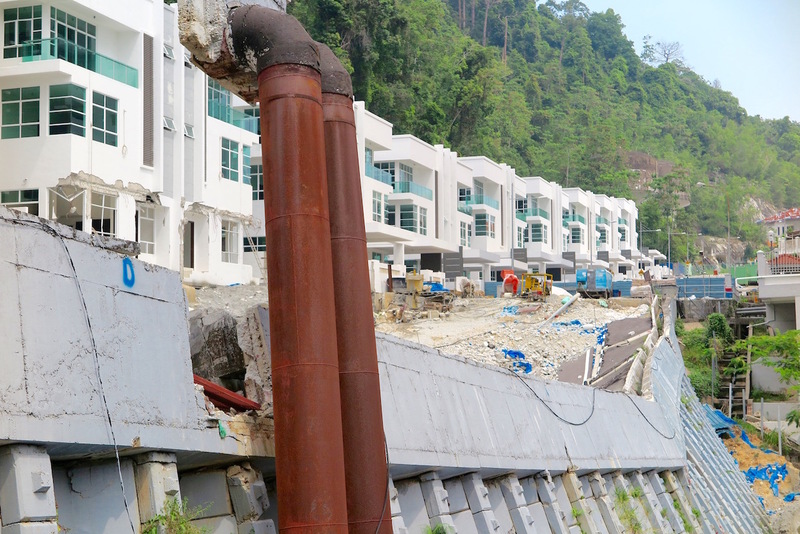 In 2007, Penang state prohibited development on slopes above an elevation of 76 meters (250 feet), and any slope with an incline greater than 25 degrees, or 47 percent. 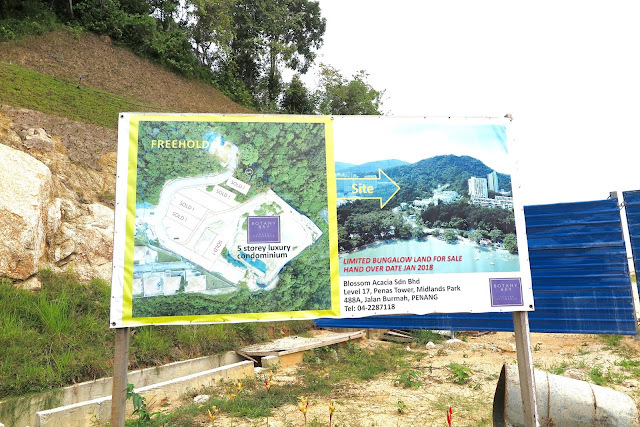 Images on Penang Hills Watch make it plainly apparent that both measures are routinely ignored. In 2015, the state confirmed as much when it made public a list of 55 blocks of high-rise housing, what the state called “special projects,” that had been built on hillsides above 76 meters or on slopes steeper than 25 degrees. The “special projects” encompassed 10,000 residences and buildings as tall as 45 stories. 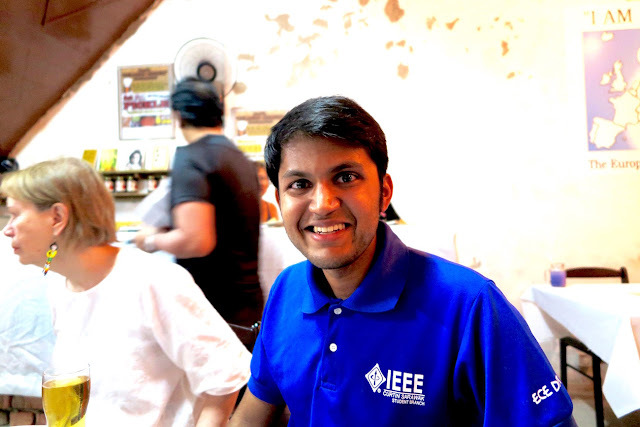 Rexy Prakash Chacko, a 26-year-old engineer who helped launch Penang Hills Watch, an online site that uses satellite imagery and photographs from residents to identify and map big cuts in the Penang hills. Image by Keith Schneider for Mongabay. “There is a lot of water coming down the hills now,” Chacko said in an interview. “It’s a lack of foresight. Planning has to take into account what happens when climate change is a factor. Clearing is happening. And in the last two years the rain is getting worse. Ignoring rules restricting development has consequences, as Kam Suan Pheng has pointed out since getting involved in the civic discussion about growth in 2015. After the October 2017 landslide, she noted that local officials insisted the apartment building where the 11 deaths occurred was under construction on flat ground. 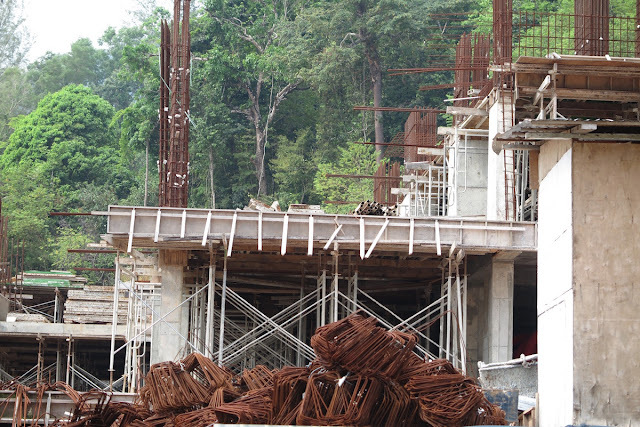 But, she told Mongabay, an investigation by the State Commission of Inquiry (SCI) found that the apartment construction site abutted a 60-degree slope made of granite, which is notoriously unstable when it becomes rain-saturated. The market for hillside residential development is strong in George Town despite the more intense storms. Image by Keith Schneider for Mongabay.